How often do we all wonder why certain people are able to resist temptation? 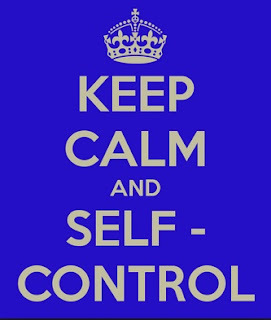 A new study indicates their secret is not sheer willpower but rather consciously avoiding situations that test their self-control. In a recent article, The Wall Street Journal reported that researchers at Florida State University conducted the research. The university recruited 38 volunteers and rated their levels of self-discipline using a series of 13 questions. Half were ranked as above average at self-control and the other half, below the average. The students were given an anagram to solve and told they could either start it immediately in a noisy student lounge or wait until a quiet lab became available. Among those with below-average self-control, most went for the lounge. Among those with better self-control, most chose to wait for a quieter place to work. Previous studies have found that everyone has finite stores of willpower, which can be exhausted by repeated temptations. This new research showcases a different approach that avoids overworking our willpower. Researchers summarized that the wisest way to pursue a goal—such as academic success or weight loss—is to structure your environment to minimize distraction and temptation. Something for all of us to keep in mind as we shop in the grocery store, walk along a street with the local bakery or chocolate shop and eat in a restaurant with tempting goodies. Maybe we should just not go down the cookie isle at the grocery store, not choose the street with the bakery and chocolate shop, and only occasionally choose that restaurant with the hard-to-avoid goodies. Let's set ourselves up for success...not failure!